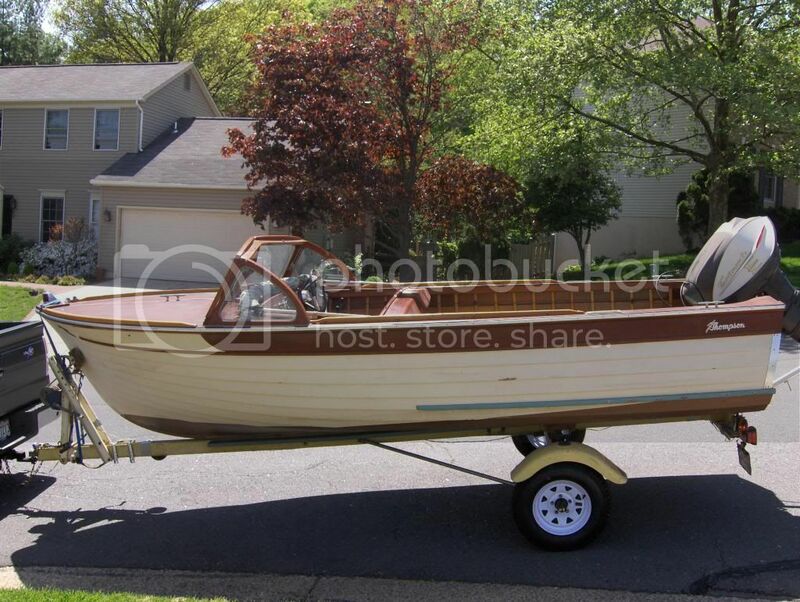 I have a 1960 Sea Lancer, from Cortland, that needs new paint. 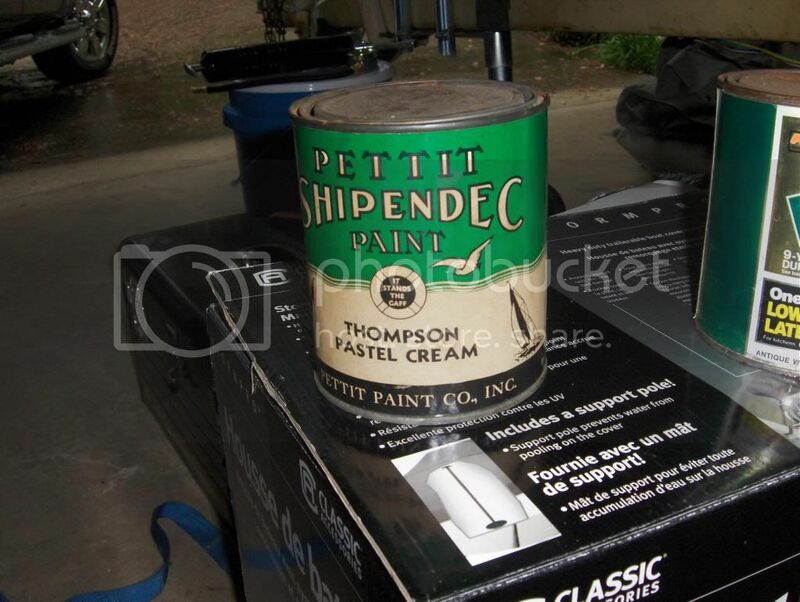 My can of original paint is Pettit Shipendec and the color on the can is Thompson Pastel Cream. When I asked Pettit for some help matching the old color all I got was a reply to look at their paint chart. Most of the topside paint was pretty faded but under a trim piece we found some nice yellow paint which I would like to match as close as possible. Interlux currently has a topside paint called Fighting Lady Yellow that looks to be fairly close but I am hoping for better than fairly close. So the question is where will I find my best color match? Send your most original sample to George Kirby Jr. Paint Company in New Bedford, Mass. Or ring them up and say you have such and such (is it really an original can of Thompson of NY paint??) and see if they can match it without an actual sample. I looked at the 1960 brochure for Thompson Boat Company of New York, Inc. Sure enuff, the Sea Lancer standard colour was "cream". All other models were white as standard colour. Thanks for the suggestion about matching paint. I'll see if we can get a sample to send in. Yes I believe it is an original can of paint. If I could figure out how to post a picture of it I would. My Dad's Uncle bought the boat new probably in 1961. The boat is a 1960, the Evinrude is a 1961 and the trailer is a 1959 Tee Nee. We have the original sales receipt for the Evinrude, but not the boat and trailer, and it is dated April 1961. The boat has spent almost it's entire life in a garage. Apparently Uncle Charlie got a can of paint when he purchased the boat, but never needed it. The can has never been opened and after all these years I doubt it would be any help in matching the paint. That's cool. Snap pics of the paint can and forward directly to me. I can post them here.